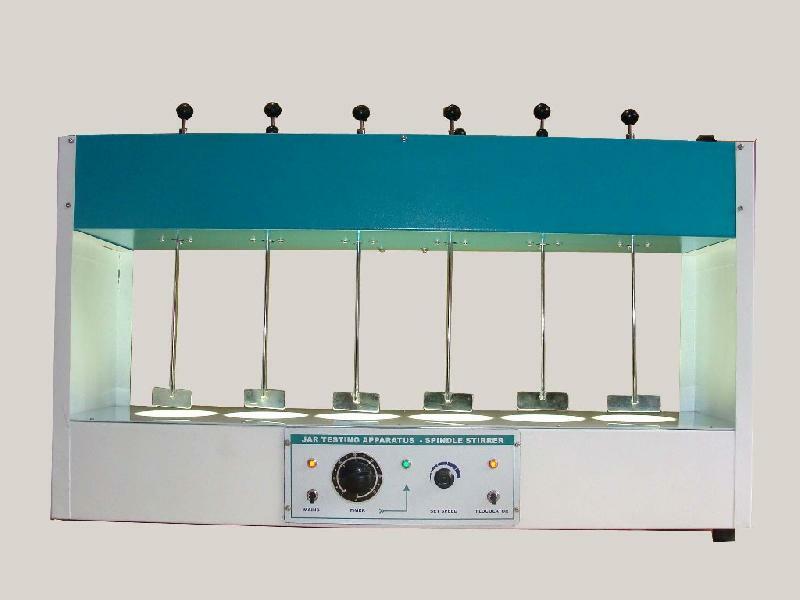 This unit is designed for floc formation test in water treatment plants with variable speed from 20 to 200 RPM Heavy duty geared PC motor whole unit is mounted on Mild steel housing, S.Steel stirring paddle 1/3' are attached to rods 10.14" long 1/4" Dia motor with lifting knob at the top. Locking collars at stirring rods permits adjustments of paddle height spacing of 6" between rods, permits use of beakers arresting directly on bench. Complete with ON/OFF Switch. Supplied without Beakers.